Practicing navigation is simple and effortless! 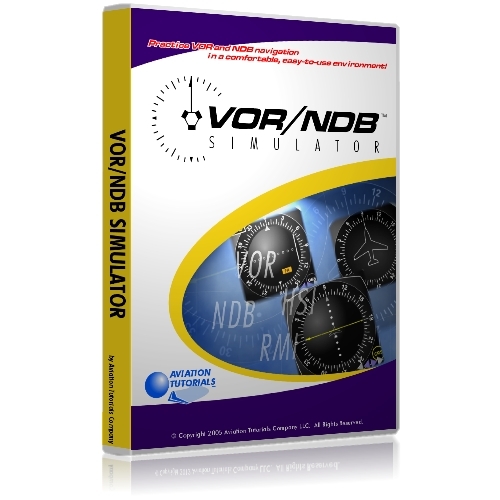 While The Navigation CD-ROM™ teaches the theory behind navigation, VOR NDB Simulator™ enables you to practice real-time VOR and NDB navigation on your computer! You don't have to worry about altitude control, radio communications, airspace, traffic, or other major tasks, as you would in real flight. Aircraft are expensive to operate, and they make poor classrooms. 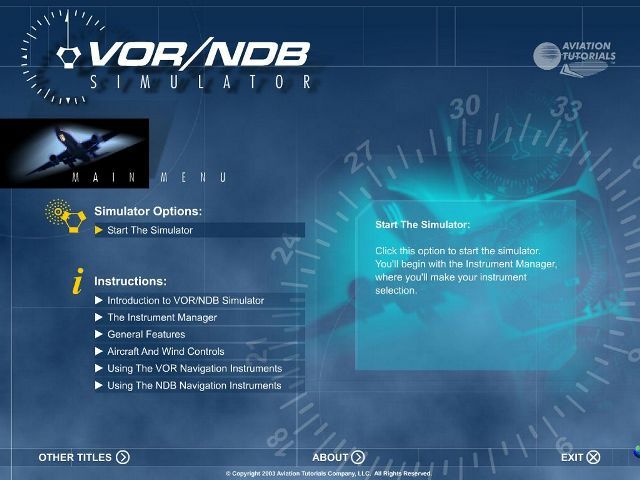 With VOR NDB Simulator, you're able to learn navigation techniques on your computer, in an inexpensive and non-distracting environment. 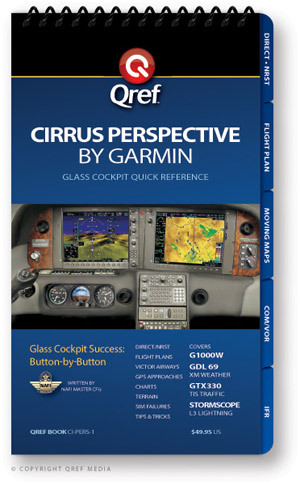 It's got everything you need to visualize navigation! 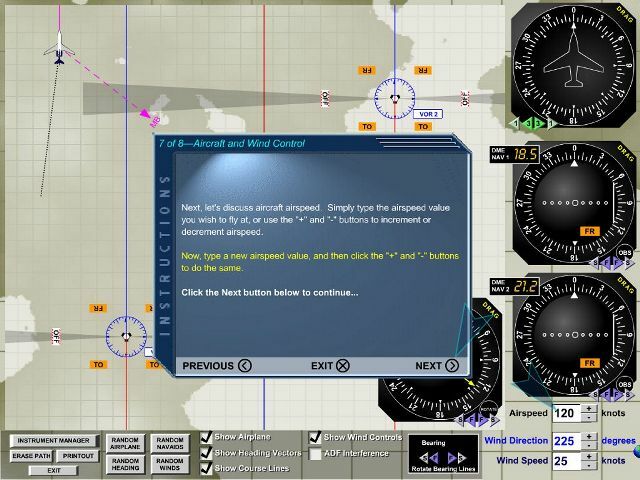 The screen consists of several components: 1) an airplane flying across the screen, 2) VOR's and NDB's, 3) navigation and flight instruments, and 4) controls that enable you to specify aircraft direction, airspeed, wind component, and other options. Develop the skills you need at your own pace! 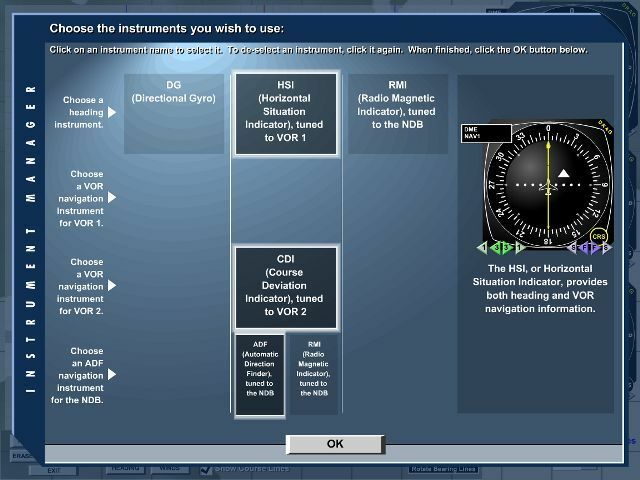 Your objective is to set the navigation instruments accordingly, and then turn the aircraft as needed to intercept and track VOR radials and NDB bearings. You can practice position-finding, interception, and tracking skills. 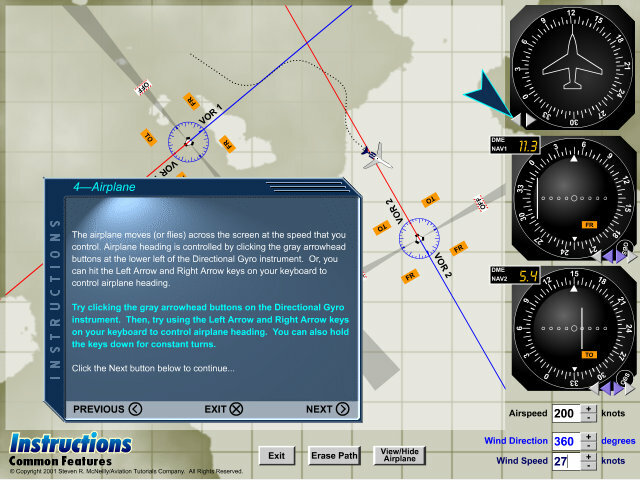 Instrument pilots can also practice advanced skills such as DME arcs and holding. 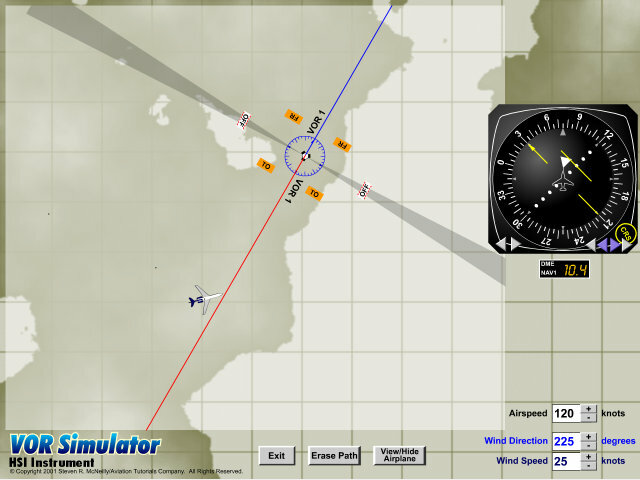 Best of all, you can create custom navigation scenarios by dragging the VOR's, NDB's, and airplane around the screen wherever you wish. It's all point-and-click!